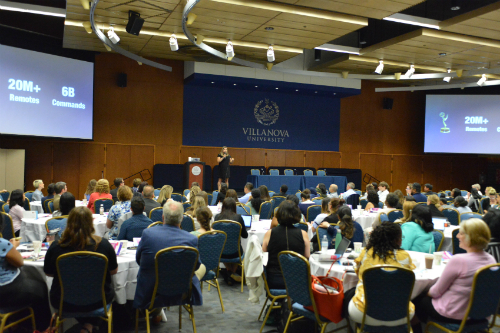 In 2018, WICT Global partnered with the WICT Greater Philadelphia Chapter to co-host a one-day conference that focused on a single topic currently driving changes in technology, society and our industry. Almost half of American adults are using digital voice assistants on their smartphones, in their cars and on other devices such as Amazon Echo and Google Home. The advances in recent years of technologies to support voice and conversational user interfaces are transporting our businesses and society into a new age of voice control. 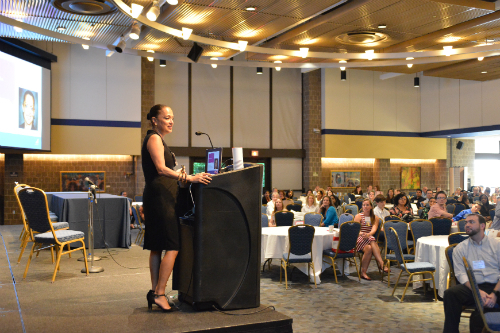 WICT President & CEO, Maria E. Brennan, CAE, gave welcome remarks and introduced the opening keynote speaker, Nomi Bergman, President of Advance/Newhouse. In her speech, Nomi spoke about the importance of women finding their voice and shared numerous tips on how to succeed in a sector of the industry that is dominated by men. And she speaks from experience: in addition to successfully climbing the corporate ladder, Nomi graduated from the first class of the Betsy Magness Leadership Institute (BMLI) in 1995; she received the 2011 Woman of the Year Award, WICT’s highest individual accolade; and she was recognized as the Women in Technology Award honoree in 2004. Above: Nomi Bergman delivered opening remarks. 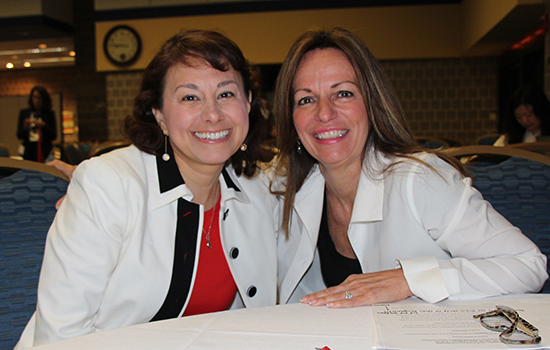 Above: Nomi Bergman (left) with WICT President & CEO, Maria E. Brennan, CAE. 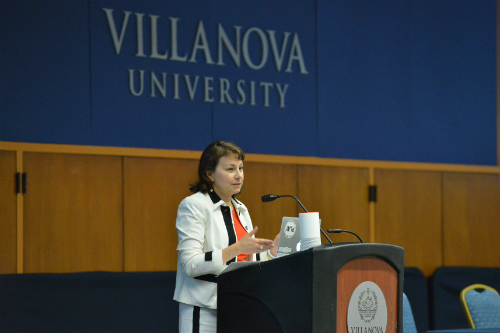 Jeanine Heck, VP, AI Product at Comcast delivered a memorable keynote speech. As the founding product lead for the X1 Voice Remote, Jeanine is leading efforts to bring AI into Xfinity products, and she spoke about her entrepreneurial approach to enhance the user experience. Above: Jeanine Heck, expert on voice control and user experience. Jennifer Cloer, Creator and Executive Producer, The Chasing Grace Project, gave a sneak peek into her six-episode documentary series about women in tech, the challenges they face and how companies can pave the way forward, to everyone’s benefit. Michelle Ray, Acting Executive Director at the Walter Kaitz Foundation, delivered closing remarks to the record crowd who attended the program. Above: Michelle Ray, the Walter Kaitz Foundation. Attendees had the opportunity to meet experts who demoed products and talked about how voice and conversational user interfaces are designed, what technologies enable them, how they are being used, and why they are changing our lives. 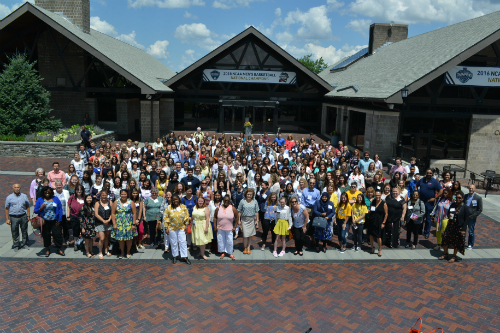 Attendees gathered for a group shot outside the Connelly Center on the campus of Villanova University.